Honestly this is probably the weakest of all of the Beatles albums. While there are some stellar contributions on here, some of the songs seem like the band is putting in as little effort as possible. The cover songs chosen seem fluffy and to be honest quite forgetful. It sort of feels like the studio and their manager wanted them to continue to cash in on their popularity (hence the title) and a lot of the songs on here seems like they were chosen as filler material. To be honest, I personally did not realize this album existed until much later in my liking of the band. It’s kind of a forgettable album as there are no lead singles coming off of it. One song of note is John’s “I’m a Loser” because it’s more autobiographical and not just a silly love song. It’s quite emo. I use that phrase a lot but really there’s no other way to describe this song. “Eight Days a Week” is such a great sing along song. I heard Paul sing it in concert two years ago and it’s just the perfect song to get everyone in a good mood. While I totally love “I’ll Follow the Sun” because it says exactly how I feel when I realize I need to move on from someone, I also really enjoy “What You’re Doing”. The beat is very much on point and the song as a whole feels quite simple. But the lyrics are words I’ve thought or said to and about people so it’s almost as if they wrote that song based on my experiences alone. I’d also like to mention the cover. The out of focused shot and the non smiling faces make them look less like teen pop idols and more towards the direction of the deep thinking rockers. Granted I can’t say the same thing for a lot of the songs on the album but what’s good on here is very good. Lights, camera, action! It’s movie time with The Beatles! 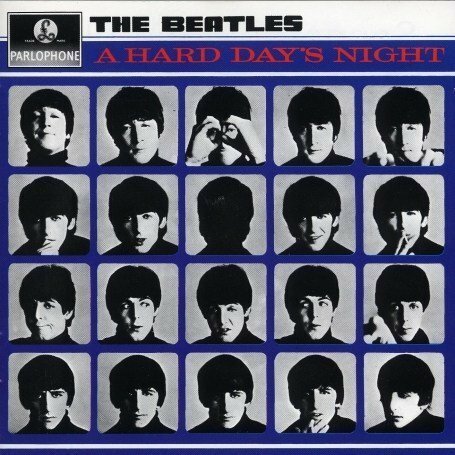 A Hard Day’s Night is the soundtrack to the movie they starred in and The Beatles third album. Released in 1964, this album (and the movie) is EVERYTHING about the British Invasion and the early 60s. The songs are upbeat and light but not fluffy. It just still sound so classic and hip over 50 years (!) later. Every song on this album is an original composition, with John being the lead writer and singer on the majority of them. I believe this is the only album where Ringo does not get to sing a song. George’s one song is kind of a throwaway one. The first half of songs appear in the movie while the other half were written for but not included in the movie. The songs are still mainly love songs, with “And I Love Her” being an absolute beautiful one from Paul. Most of John’s songs seem a bit angry at either himself or the girl but then John’s the emo one of the group so this is nothing new. I think what’s best about this album is that it sounds like they are really enjoying themselves throughout it. The excitement from the movie spills over into the album when one listens to it. It sounds like it was a lot of fun to record this one. While almost all the songs on here are favorites, my personal favorite is “If I Fell”. It says everything about how I feel and would probably want to say to a guy one day. If you haven’t seen the movie, then I HIGHLY recommend it. It’s really fun and unlike other movies of the time period which also starred rock and pop stars, A Hard Day’s Night is not cheesy or gimmicky at all. The film being in black and white makes it more artsy and the writing is so good, you think the Beatles are just acting as themselves. It holds up incredibly well to this day. It’s one of my favorite movies and an all time classic. Look at that cover, y’all. No one is smiling. We’re getting all moody and pensive here! With the Beatles is the second studio album released by The Beatles in November 1963, interestingly on the same day that JFK was assassinated. If you remember, Please Please Me was released that same year in March so to have two full albums in released in 8 months in incredibly impressive when you think about it takes years for some artists just to do one album. Plus there are eight original songs on here including George’s first song! Unlike their first album which was recorded in one day (! ), this one took the span of three months. None of these songs were released as singles so unlike most albums today, if you bought this you were listening to all brand new to me songs. For me, personally, this was the first Beatles album I listened to non stop so it holds a special place in my heart. It’s not a collection of songs that is earth-shaking but they are all very enjoyable to hear. George gets his first song on here (plus sings lead on two more) so that’s a huge step up for him. “Don’t Bother Me” is a song where he sounds pretty pissed off and I love that. Ringo gets a song that was originally used by The Rolling Stones so once again it’s like he’s getting leftovers. Two of my favorite covers, “Please Mr. Postman” and “You Really Got a Hold On Me” are originally Motown songs and their rock and roll versions put a very nice spin on them. While it’s not a huge favorite of mine, “Money” features John really going at the song which is always fun. The songs are still mostly light and about romantic love though my personal favorite, “Not a Second Time” is from John who’s been hurt and refuses to allow that person to hurt them again. I’ve loved this song ever since I first heard it because it resonates so very much in my life. Overall, it’s a good follow-up album. Things are still pretty light but the fact that there are a bunch of original songs that have stood the test of time show that they definitely were not one hit wonder. Please Please Me was the first full studio album released by The Beatles in March 1963 under the Parlophone label with George Martin as the producer. They recorded this album in less than 13 hours on a single day. Can you imagine how insane that is compared to what people do today? There are 6 covers on here and the rest are Lennon/McCartney originals. While the Beatles had recorded songs before, this was the first album they recorded together as a group. I know that bands, groups, and singers these days have albums coming out when they are young teens but almost all the time they never write their own songs. A lot of those songs also have four or more writers credited. So for a bunch of guys that are 23 or younger (!! ), this is pretty incredible. Most of the songs are very light about love. There’s nothing too deep lyrically in these songs plus the guitar chords sound quite simple and not as complex as they will become later on. This album sounds very oldies like. I also find it interesting that everyone in the band gets to sing. These days it almost feels like a lot of popular bands really consist of the band backing up the lead singer (who usually doesn’t play an instrument either). Here George gets two and even Ringo joins in on the fun. Unfortunately for them, the selections chosen for them aren’t very outstanding. Two of these songs were originally done by girl groups so it’s a curious selection. Then again so was “Baby It’s You” but I just adore that song in general so maybe it’s in the way it’s sung. Twist and Shout is the best song on this album. It was also the last song recorded during that 12+ hour session and you can absolutely tell that in John’s voice as it’s basically ripped to shreds. All in all a decent first album. While, it’s not my favorite and other than “Twist and Shout” there’s nothing really jumping out, it’s a darn good start. So may I introduce to you the act you’ve known for all these years? It was 50 years ago last week that the Beatles came to the US for the first time and basically changed the way the world heard music forever. It was about 18 and a half years ago (oh gosh am I that old?!) 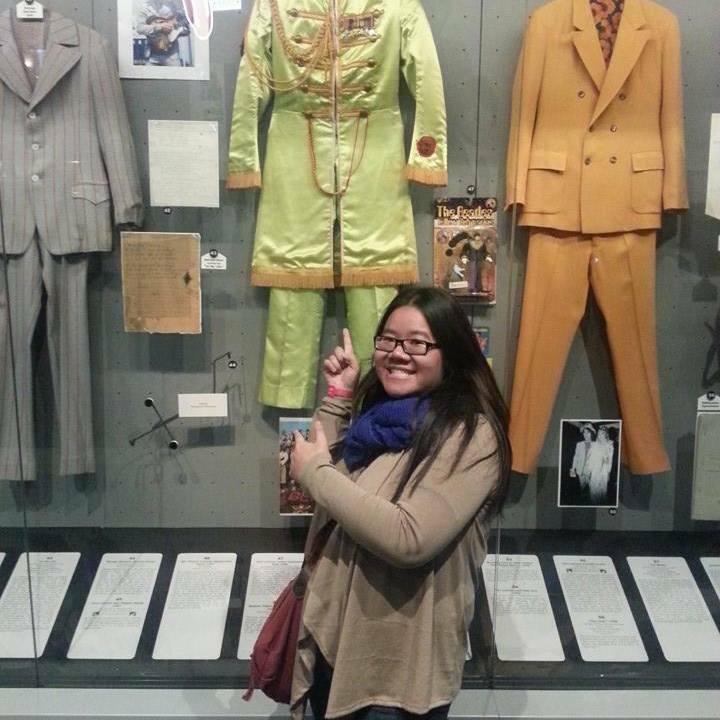 this year that I really discovered the Beatles music and it changed the way I heard music forever. If you’ve known me for any amount of time, then you know that Beatles are MY band. Yes, I listen to other music and I have other bands that I greatly enjoy. 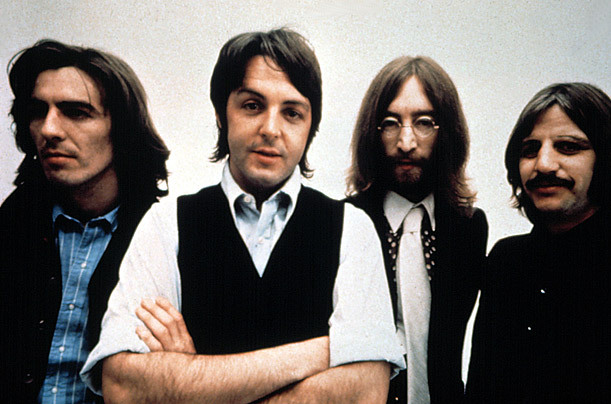 But ever since November 1995, the Beatles have been my favorite band. 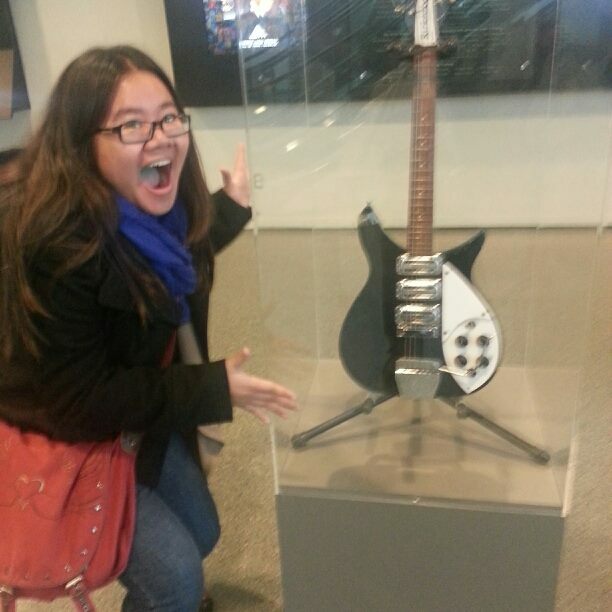 That was when the Beatles Anthology came on TV and it changed my life forever. I was in 7th grade and I was trying to figure out what type of music to like. Everyone was either listening to rap or alternative or country and while I liked certain songs, there wasn’t anything I gravitated towards. I wanted something that I could answer to when someone asked me what was my favorite type of music. And for reasons that I could not explain to you, I had the desire to tape the special. And then obsessively watched it for the next year. The Beatles were now MY band. I still can’t explain what drew me to their music. Probably the same magic that drew all those fans 50 years ago. It’s catchy. It’s good. It’s simple. It’s deep. It stands the test of time. It’s influential. It’s memorable. I can find a Beatles song for almost any situation I’m in. Their music is classic. Their own music evolved and therefore changed music as we now hear it forever. What gets me the most is that when they wrote all these songs and music, ALL of the Beatles were younger than me. To write over 200 songs (and more when they started their solo careers) in your 20s that have stood the test of time for over FIFTY years? Geniuses, I tell you. Now they might not be your favorite band and you may detest their music. But if you like music of any sort, I can guarantee you that whoever you listen to has been someone affected by the Beatles. This is one of those short blog posts where I don’t feel like I need to gush or explain in detail. You either appreciate their music or you don’t. I do.